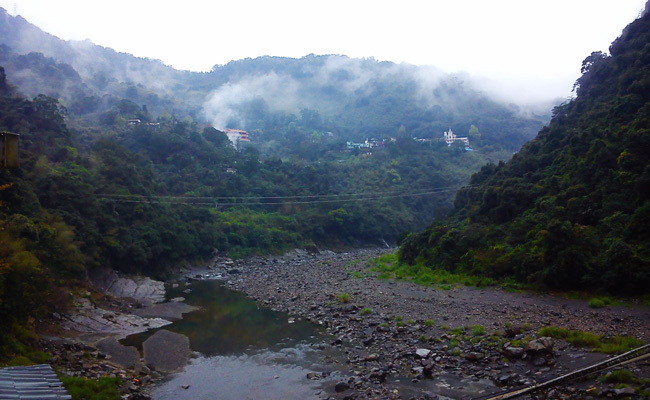 Take bus 849 to 隧道口 from Wulai or Xindian MRT. The bus stops right in front of the spa. 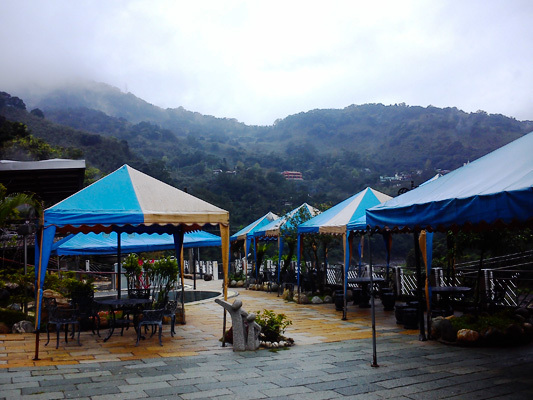 On the bus route to Wulai there are many hotel-spas where you can get off, soak and relax. It's a unique Taiwanese experience and I highly recommend it. 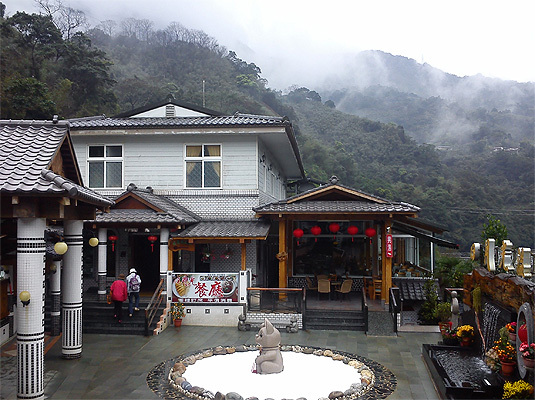 The one I regularly visited was Sun Moon Bright Spa(日月光溫泉), a Japanese style place. There are about 5 different pools of different temperatures, a waterfall, complimentary tea and towels and best of all, stunning views of the valley. There is also a restaurant which smells very nice and looks very expensive. At 390NT ($13) The entrance cost is a little high when you compare it to the free public spa in Wulai or the 40NT ($1.20) public baths in Xinbeitou. But the tranquility and quality are definitely worth paying for, especially if you have a hangover!